A loan of $500 helped to purchase silverware and pans. Rosa is 52 years old and she is married. She and her husband work together, and their son Byron, who is 18, helps them with their small business. They sell tripe stew and fish stew. 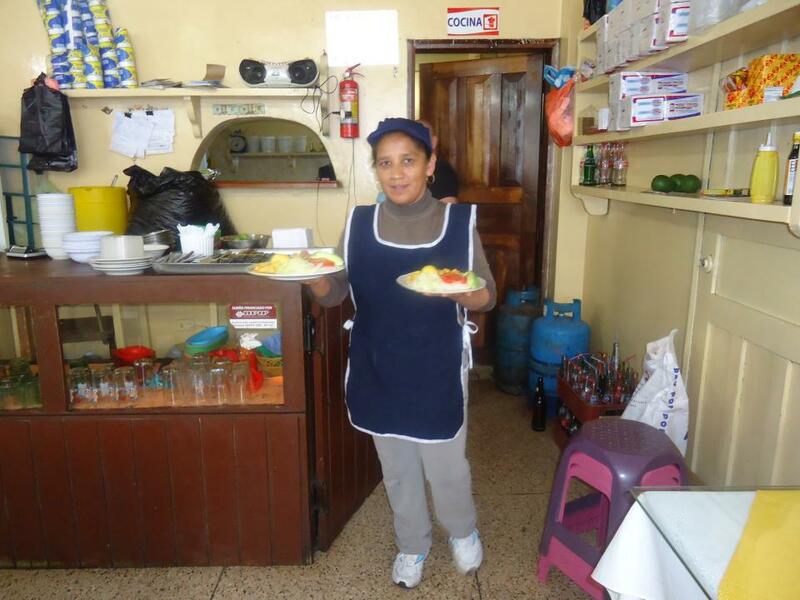 They began the business 8 years ago, and Rosa works constantly so that their family never lacks its daily bread. She needs money to purchase silverware and pans, since those she has now are deteriorated from use. This way she will be able to present a better image to her customers, thereby earning a greater income and being able to satisfy her family's basic needs. Translated from Spanish by Kiva volunteer anonymized. View original language description. Rosa tiene 52 años de edad está casada su esposo trabaja junto a ella, su hijo Byron de 18 años de edad le ayuda en el pequeño negocio a vender guatita, encebollado, iniciaron hace 8 años atrás ella trabaja constantemente para que no le falte el pan del día en su familia, Rosa necesita el dinero para comprar vajilla y ollas ya que las que tiene están deterioradas por su uso, así podría dar una mejor imagen a los clientes obteniendo mayores ingresos para poder satisfacer las necesidades básicas de su hogar.